Infinitely better... doesn't feel mushy. Found boxed visual basic 5.0 (not that I have any idea how to use it) and this cool handheld usb trigger mouse. Where are my other retro New Jersey Folk? Those are "standard" ATX shields. luckybob wrote: Those are "standard" ATX shields. The key word I used was BEFORE. The one Windows9566 linked was the very first version. USB killed that version. You only ever see the first version on early Pentium motherboards (and Pentium Pro). The box was a bit ripped but they were well packed and it's weird seeing a 486 motherboard look this new & clean. The one on the left I already have and bought solely to have a read of and digitise the manual, since that's not online in its complete form anywhere. Thanks to the kind souls on Vogons who gave me the heads up to the eBay seller selling these blank back plates for real cheap! Does anyone happen to have the blueprints for an AT backplate? What diameter hole, at what location etc? Also, what do I cut a backplate with? Some Dremel drill pit would do? I have a bunch of new AT backplates for the motherboards I have. I could scan one in for you or measure. Let me know. I was hoping it would be the same diameter as my lightsaber. liqmat wrote: I have a bunch of new AT backplates for the motherboards I have. I could scan one in for you or measure. Let me know. Hey I would definitely appreciate that if you have the time and all. That barrel battery in a spot where a CR2032 battery should be is by far the most stupid thing I've seen today. Who thought that would be an great idea? Especially since these are notorious to leak and kill traces. No worries, this way you could at least print yourself a paper template. I would send you one, but I don't even have enough for my motherboards unfortunately. liqmat wrote: No worries, this way you could at least print yourself a paper template. I would send you one, but I don't even have enough for my motherboards unfortunately. The barrel battery on the MS-4143 is juuuust about to leak, just like my other one - that's getting removed and replaced this evening. 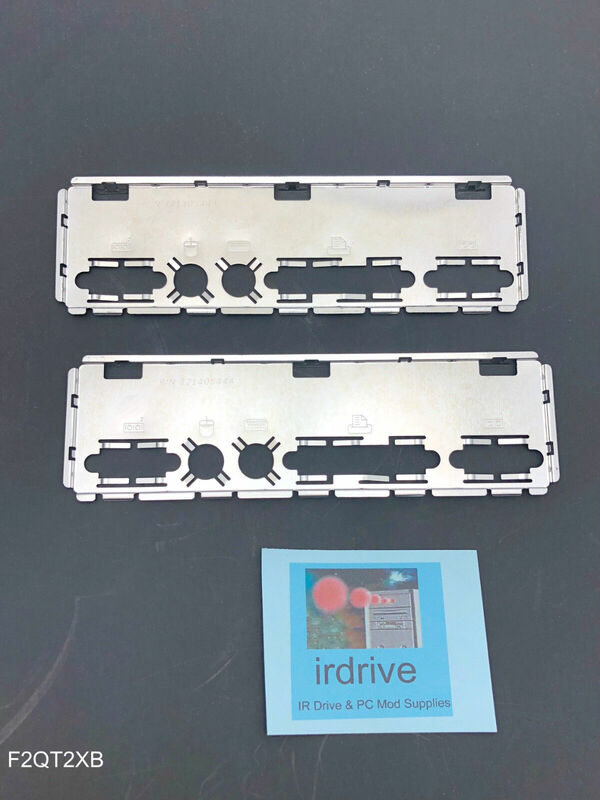 EDIT: a quick search for IRDrive on ebay and I found one finally! appiah4 wrote: Hey I would definitely appreciate that if you have the time and all. Just got the Asus P/1-P55T2P4. It has 256KB of on board cache and has COAST slot for additional 256KB of cache... and i apparently had one of these just laying around from decades ago! Nice board, lots of voltage regulation options, fsb and multiplier setting etc.